Chuck Merriman has served as Head Coach of the AAU National Karate Team and he is a member of the AAU national karate Coaches Committee. He is also a member of the AAU National Karate Program Technical Committee and has acted as Chief Arbitrator for AAU Region One Karate and for the AAU National Karate Championships. 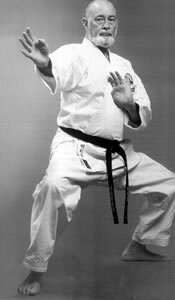 Chuck Merriman has been instrumental in popularizing karate, especially Goju-Ryu, throughout the western world. 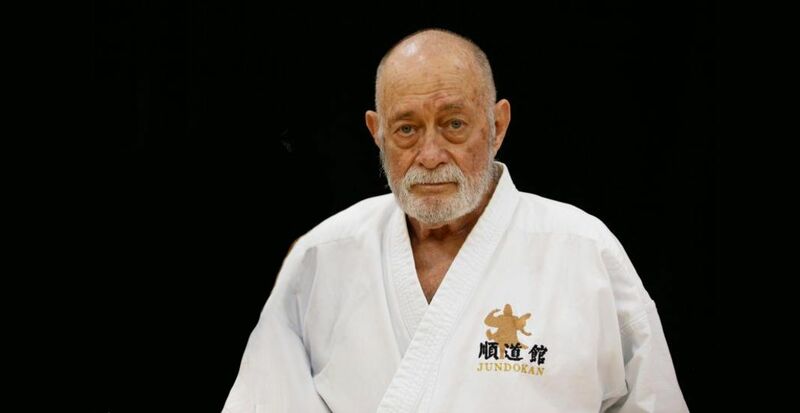 Chuck Merriman studied Goju-Ryu Karate under Peter Urban, Chris DeBaise, Miyazato Eiichi (10th dan – senior student of Chojun Miyagi), Nakabayashi Sadaki and Iha Koshin (10th Dan). He studied judo under Korean master In Soo H’Wang. 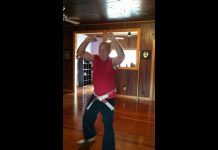 Chuck Merriman holds the ranks of Judan (10th Dan) Hanshi Okinawan Goju Ryu Karate Do/ Jundokan, Okinawa; Sandan (3rd Dan) Kodokan Judo; and Shodan (1st Dan) Hakkoryu jujutsu. Present: Chuck Merriman is Head Coach of the AAU National Karate Team and member of the AAU national karate Coaches Committee. Member of the AAU National Karate Program Technical Committee and perform the duties of Chief Arbitrator for AAU Region One Karate and for the AAU National Karate Championships. 1997: Appointed to the Referee’s Council as Chief Referee for the Okinawa Karate Kobudo World Tournament in Naha, Okinawa. 1996: Received the AAU Karate coach of the year. 1995: Appointed Head Coach for the United States National Karate Team for the Olympic Sanctioned XII Pan American Games in Buenos Aires, Argentina. 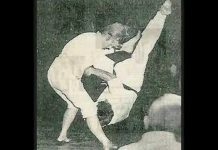 This was the first time that karate had been included in the Pan American Games. We brought home one gold, one silver and five bronze medals. Appointed as coach for the United States National Team for P.U.K.O. Championships in Medellin, Columbia. We brought home 13 medals; three gold, five silver and five bronze. 1987: Inducted into “Official Karate” magazine Legion of Honor. Hired as Sports Director for Atlantic Refining & Marketing Corp. 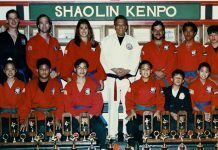 Organized and coached the first professional karate team, sponsored by the Atlantic Refining & Marketing Corp. (later to become the Transworld Oil Karate Team). The team was undefeated in five years of national and international competition. 1996: Co-Organized and arbitrator of the Bermuda International Grand Championships (B.I.G.). Elected into the “Inside Kung Fu” magazine Hall of Fame. 1985: Co-organizer and chief arbitrator of the Bermuda International Grand Championships (B.I.G.). This was the first major corporate sponsorship for a karate tournament. 1984: Coach of the New England AAU Karate Team. 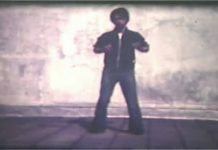 1980: Inducted into the “Black Belt” magazine Hall of Fame as Instructor of the Year. Coached U.S. National Team on a successful tour of France, winning both kata competitions and three out of four kumite matches. 1978 – 1980: Head Coach/U.S. Karate Team, WUKO World Championships, Madrid, Spain -first U.S. coach to win gold, silver and bronze. 1977: Chief Referee – WUKO World Championships in Tokyo, Japan. Appointed to the first W.U.K.O. Referees Council – Tokyo, Japan. 1975: Served as Chief Arbitrator and referee for the AAU National Karate Championships in Joplin, Missouri. 1974 – 1976: Served as Arbitrator and Chief Referee at the Latin American / Caribbean / United States Championships. 1974: Served as Chief Arbitrator and Chief Referee for the AAU Karate Championships in Cleveland, Ohio. Selected as Top Ten Competitor in USA by “Official Karate” magazine. 1970: Opened first Karate dojo – Karate International. 1966: Karate instruction under Sensei Peter Urban. 1962: Karate instruction under Sensei Chris DeBaise. 1960: Judo instruction under Korean judo master In Soo H’Wang and Nakabayashi Sadaki sensei, Japan. 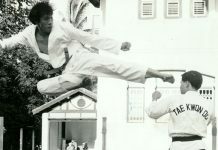 Years Training: Over 40 years – trained in USA, Okinawa, China and Japan. 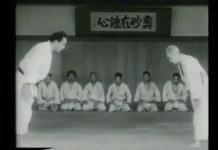 Teachers: Sensei Miyazato Eiichi (10th dan – successor to Chojun Miyagi) – Sensei Iha Koshin (10th Dan). Successor to Miyazato Sensei and Miyagi Sensei.